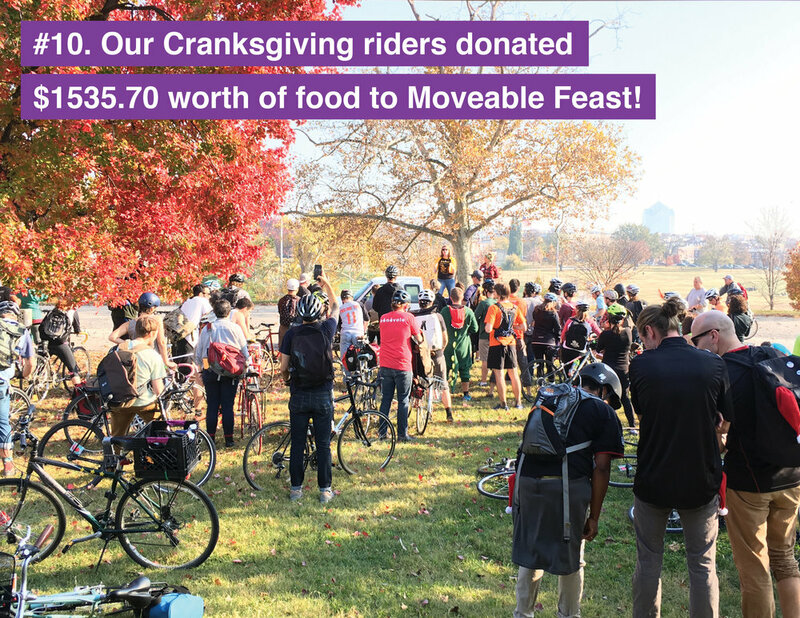 As Bikemore staff is off spending this week with our loved ones, I wanted to take some time to personally say thank you for helping us build a force for biking this year. 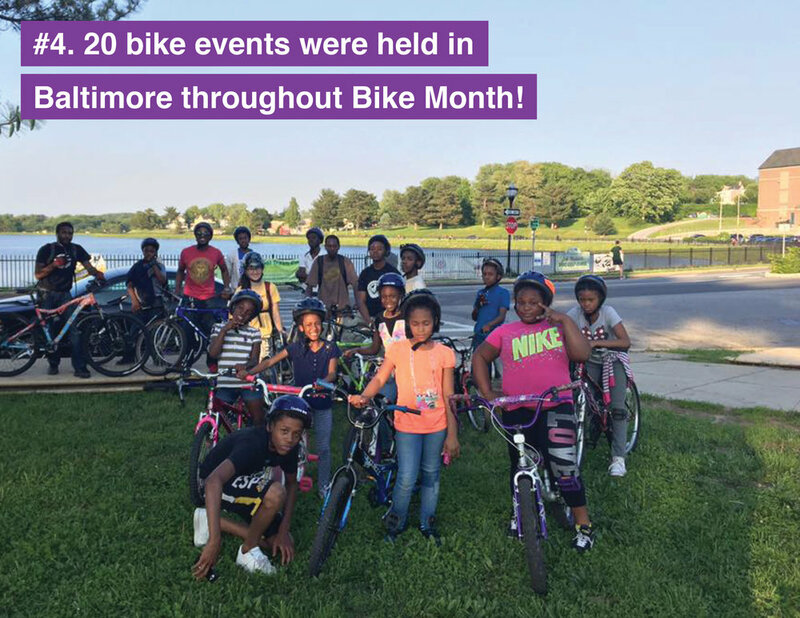 In Bikemore’s short history, 2016 will be remembered as the year we tipped the scales and truly began to change how people think about streets, public space, and of course — riding bikes in Baltimore. None of our achievements would have been possible without the immense support of people like you. Our donors, our volunteers, our constituents — who showed up to public meetings in full force, who made our events grow, and helped set our organization on a course for financial sustainability — you are the reason we are here, getting to do this work. It really is the best gift I’ve ever received. 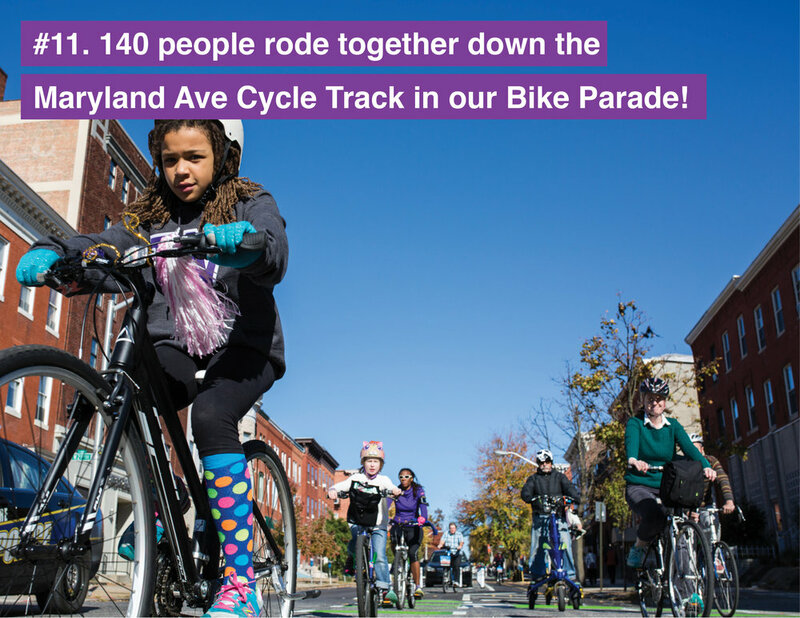 This year we saw the construction of Baltimore’s first protected bike lanes; we launched bike share; we elected a City Council and a Mayor who are invested in Complete Streets; and this past week the Mayor heard the plea from our #DirectDOT campaign and launched a nationwide search for our next Director of the Department of Transportation. One of the things I am most proud of is our ability to hire two new staff this year, growing our organization from just one person to three. I am incredibly lucky to be able to lead such a talented and dedicated team. 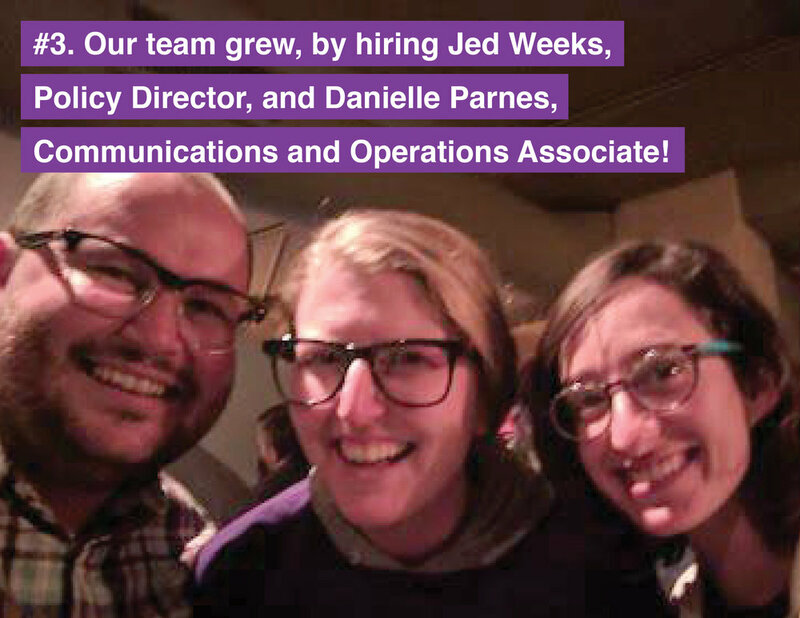 Danielle and Jed have taken our operations and our advocacy to the new heights, and I can’t wait to see where they take us in 2017. It’s customary for nonprofits to make one last appeal of the year. And if it makes sense for you to give, I can tell you we have a real need, and a specific plan to put your generosity to good use. 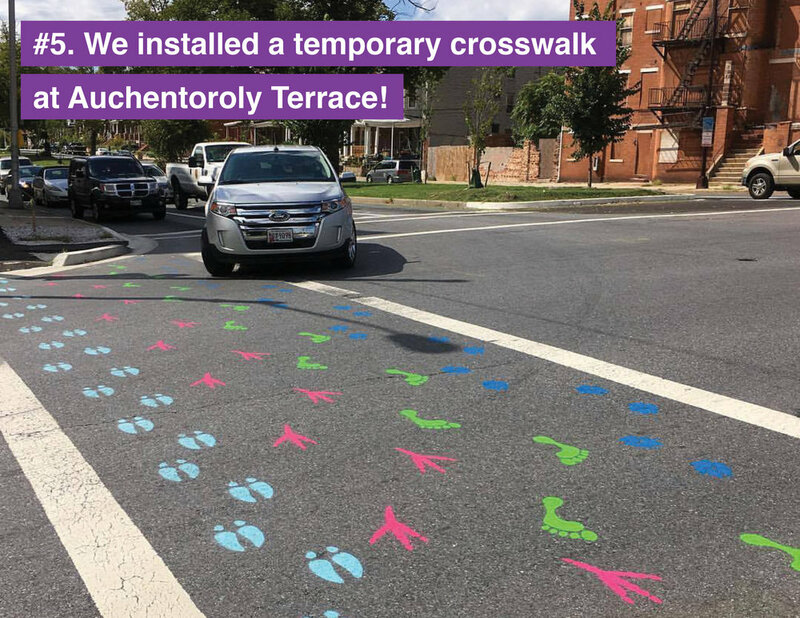 Work with Councilman Dorsey to introduce new and improved Complete Streets legislation — ensuring every neighborhood has the opportunity to receive the benefits of streets designed for people over cars. Train neighborhood activists on transportation and land use policy — making sure the grassroots folks who make our city great have the resources they need to continue to strengthen their neighborhoods. Continue to monitor capital improvement projects like the Downtown Bike Network and Mount Royal Improvement Project to ensure safe design and swift implementation. 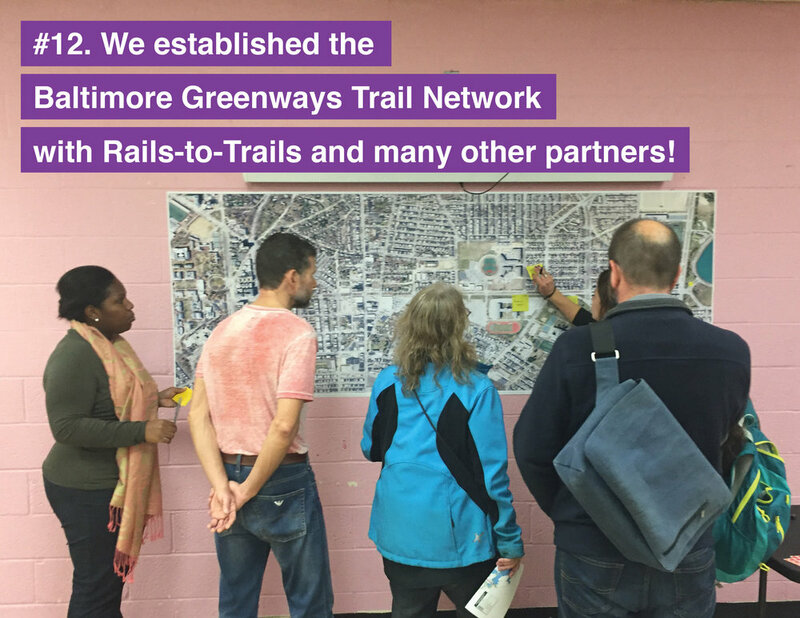 Advance our Baltimore Greenway Trails Coalition to continue to bring resources and support to our vision of a 30 mile continuous trail network for Baltimore. Develop more programs to bring our members together, to strengthen our movement, and build IRL ("in real life") relationships with the people who keep our mission going. And for my staff, I want to grow our organization’s financial security so that we can provide quality health benefits to ensure that working for Bikemore makes sense for them long term. I hope no matter how you celebrate, that this week brings you equal parts rest, reflection and holiday cheer. Thank you for making this year our best yet, and for your sustained support to ensure our work can continue long into the future. 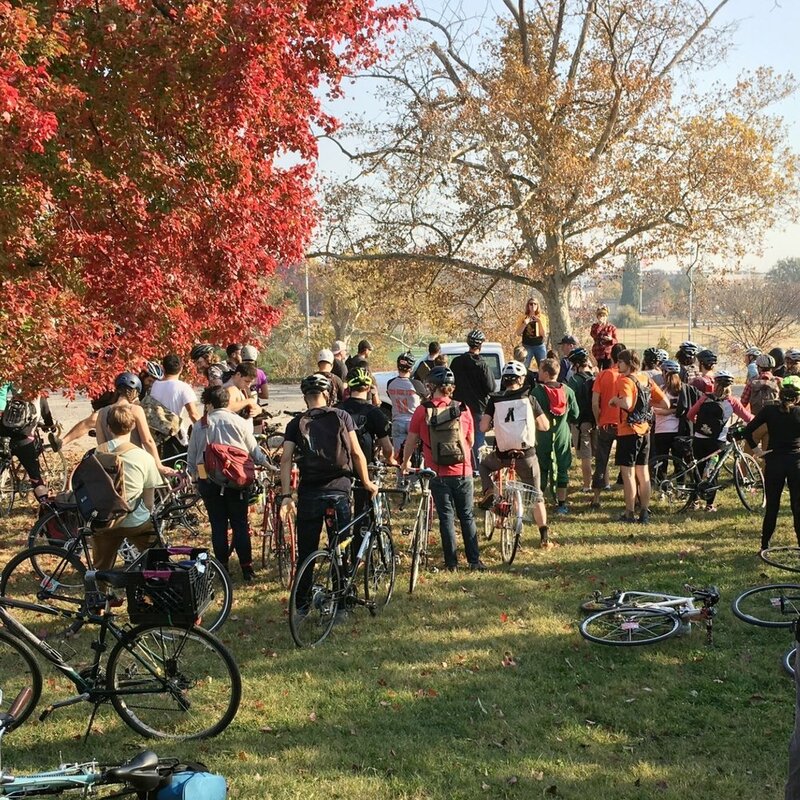 24 Bikemore Wins from 2016! 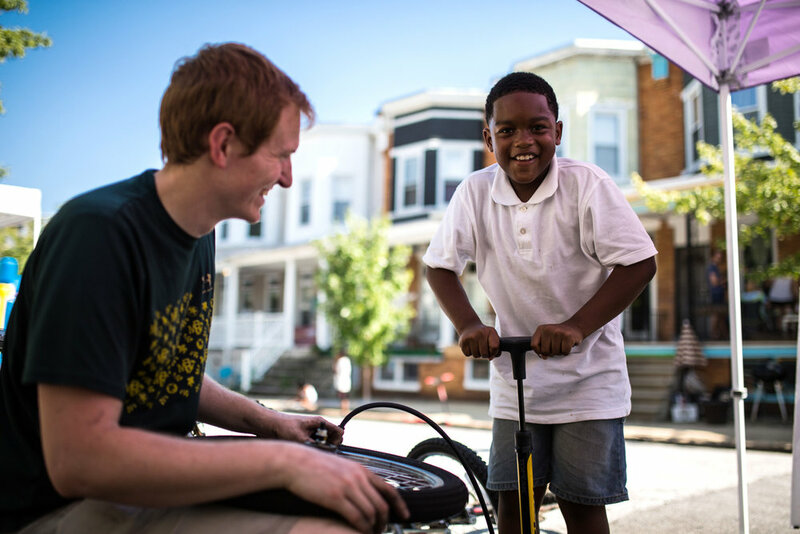 In the 24 hours of Giving Tuesday, we shared 24 Bikemore wins from 2016. That's 24 reasons to give today! If you missed Giving Tuesday, there's still time to give this year. We've shown you what we can do with a little, imagine what we can do with a lot! Yesterday was the first meeting of the Transportation Committee of Mayor-Elect Pugh’s transition team. As I sat in a room with twenty other people selected to serve our next Mayor and assist in shaping the goals of her administration, I took a moment to appreciate how even just being asked to serve was a victory for bike advocacy. Bikemore is a young organization. And I am new to Baltimore, having only moved here in the Spring of 2015. But in that short time, we have worked to establish ourselves as valuable stakeholder when it comes to having input into transportation policy for the city. How did we do it? We have all of you. Our 3000+ network of members and supporters — the people who give generously to the people who retweet a blog post — you all played a part in helping us achieve a seat at the table. After an election, it can be enticing to take a step back. To disengage from the level and intensity of civic engagement an election often asks us to make. I implore you to resist that temptation. Because right now, decisions are being made that will set the course for the next four years. And while I have confidence in the folks gathered around the table at the transportation committee meeting yesterday, what I sensed is that there is a still a disconnect between wanting to believe in bold ideas, and actually implementing them. 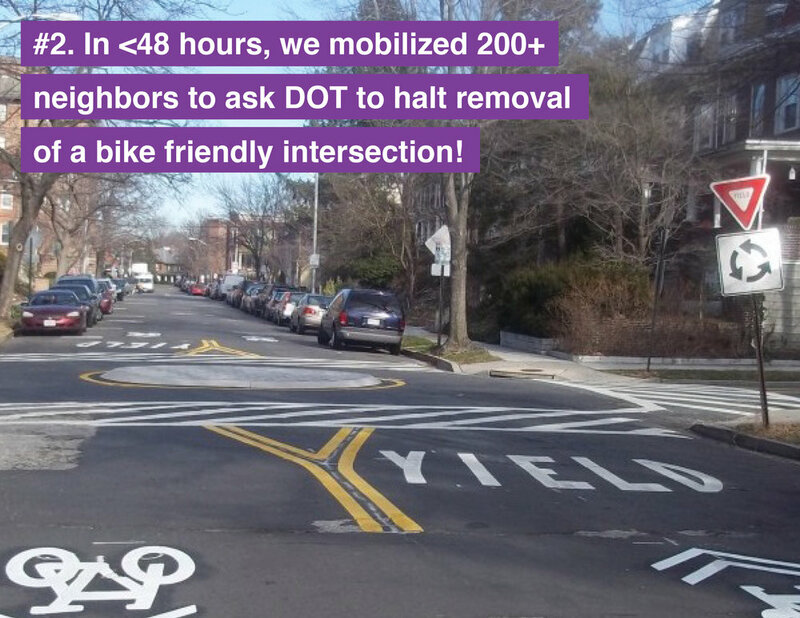 We need you to keep the pressure on, and let them know that residents from every neighborhood in Baltimore are asking for these improvements to transit, to walking, and to biking. 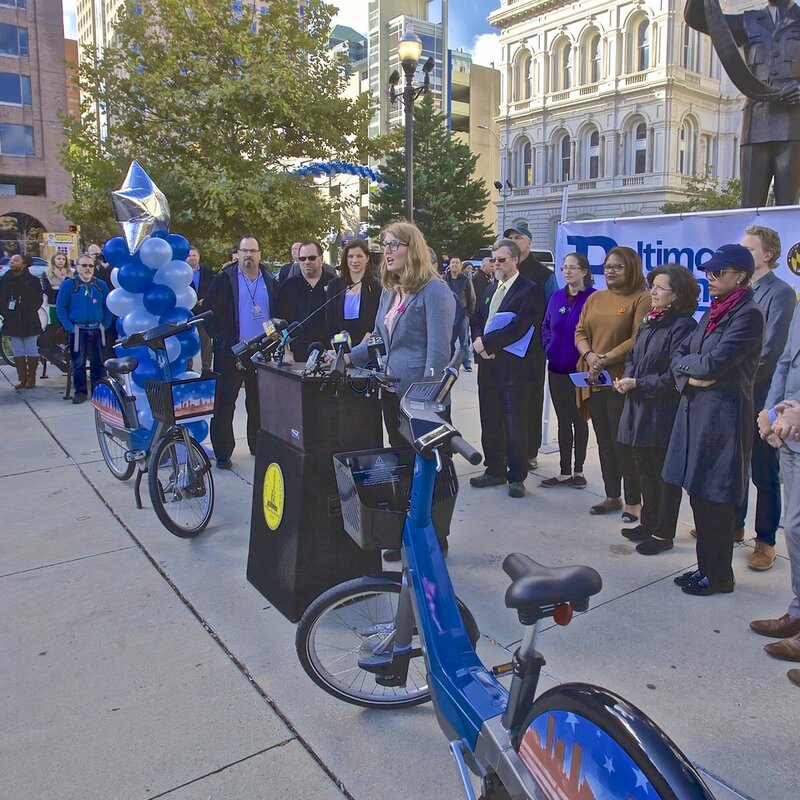 That making the city safe for biking and walking isn’t only a carrot that we dangle in front of a millennial workforce we hope to attract, but that safety is fundamental to the quality of life of all residents — especially those most in need of transportation. That the economic and public health benefits of designing a city that is safe for biking and walking are something that we shouldn’t have to advocate for, but that should be the standard of good government. Our #DirectDOT campaign centered on making sure that your voice was included in this transition of leadership. That whomever Mayor-Elect Pugh selects to lead the agency, should be someone that has progressive ideas of how to make the best use of our city’s resources. So keep posting your ideas on social media. Make sure your posts are set to public so we can archive them and share them as we work on the transition team. 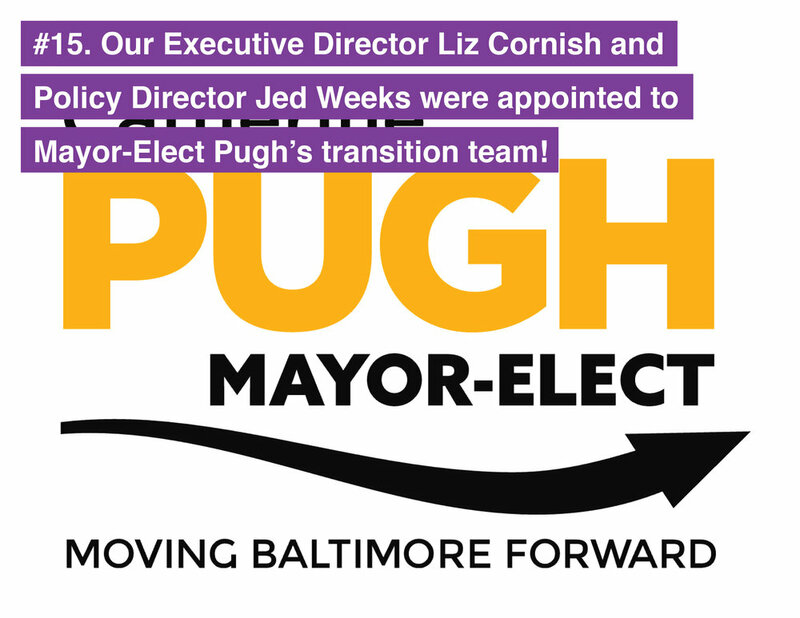 Additionally, we invite you all to use the Mayor-Elect’s transition website to provide input. We all have a role to play in shaping the city where we want to live. Keep engaging, keep asking questions, and keep fighting. Because if I’ve learned anything from this past year’s success — it’s when we fight, we win. Last Tuesday morning, on November 8th, Bikemore staff headed to the polls to assist with Get Out the Vote efforts for Zeke Cohen, who ran for City Council in the first district. It was a chance for us to employ our newly minted 501c4 — our advocacy arm that allows us to be bolder in our political positions, endorsing candidates and specific policies — by volunteering for a candidate that has promised to bring multi-modal transportation solutions to the district. Each of us spent over thirteen hours talking to voters as they entered the polls all across Southeast Baltimore. I left my post at Highlandtown Elementary exhausted, but hopeful. From the mothers that made multiple trips to the polls throughout the day with their adult children, to hanging out with the middle school boys on bicycles that wanted to discuss politics — the experience connected me with the very best parts of democracy. As we gathered at Zeke’s victory party, the dissonance set in. Here I was listening to a captivating victory speech from a candidate that just won 70% of the vote. Who campaigned on a platform of racial and environmental justice, and managed to unite and turn out voters from Greektown to Highlandtown to Canton. But behind him, a television that was showing the national election results was telling a different kind of voter turnout story. Fast forward to Thursday where I joined over 2000 community organizers in Atlanta for Facing Race — “a unique collaborative space for racial justice movement making.” I heard from many leaders and thinkers as they spoke candidly about their pain, shock, and strengthened resolve post-election. I attended workshops on equitable development and community organizing, including one led by Nathaniel Smith from Partners for Southern Equity who publicly stepped down from the Atlanta Beltline Board earlier this year. And while the mood was at times somber when considering the real threat to safety this new administration poses to our black, brown, immigrant, Muslim, Jewish and LGBTQ brothers and sisters, it was also hopeful. I found immense comfort in knowing that despite the realities of the day, thousands of people chose to get on a plane to convene, learn, and work toward racial justice in education, health, and transportation. 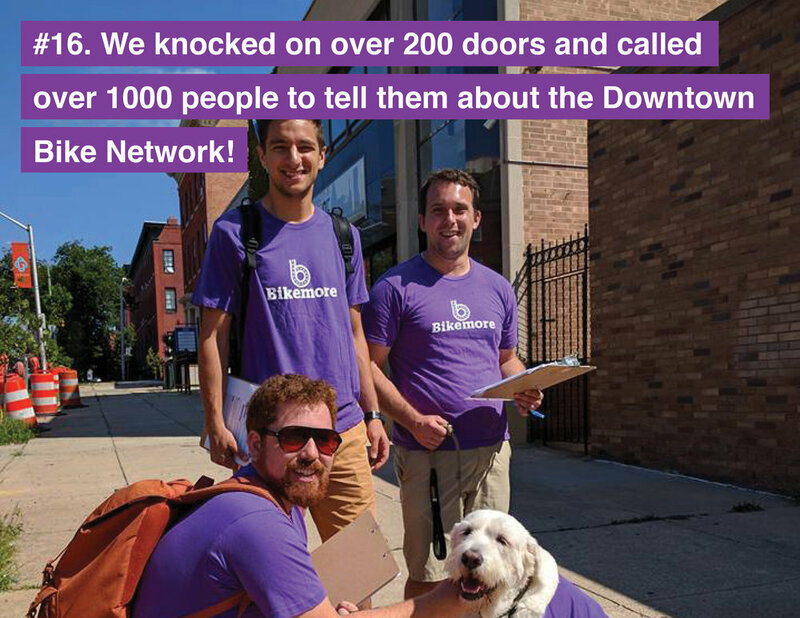 And while we are still processing what impacts the National Election have on our work (transportation funding is in flux as is the comfort and safety of our neighbors), on November 8th Baltimore City voters made it incredibly clear that our work to ignite voters and candidates around the issues of livable streets worked. We elected 8 new City Council Candidates — nearly all of whom completed our candidate questionnaire and are developing real multimodal visions for their districts. We are working with Councilperson Elect Ryan Dorsey to introduce a more comprehensive Complete Streets bill that will make it easier build streets in ALL neighborhoods that are safe for all users. Mayor Elect Catherine Pugh stated in her questionnaire response her strong commitment to making Baltimore better for biking and walking. She delivered on this promise this week by appointing two Bikemore staff and two Bikemore board members to her transition team. We are ready to work with the transition team to ensure there is a clear path forward to deliver real results from the campaign promises. None of this would have been possible without your support. 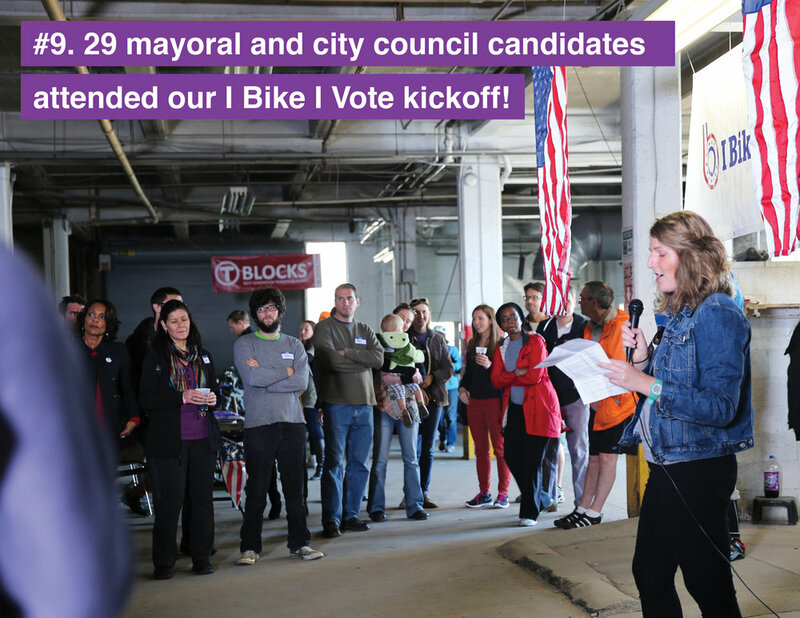 Just one year after launching our I Bike, I Vote campaign, we elected bike friendly candidates across the city and secured a seat at the table in shaping the future transportation vision of the next Mayoral Administration. Thank you to those that turned out at events, volunteered for campaigns, and gave real dollars that support our mission. As our policy agenda for the next year begins to take shape, we need your support more than ever. Our success is guaranteed only if we have the funds to sustain our work. This year I want to set Bikemore on a path of financial sustainability that will allow us to serve more neighborhoods with our advocacy, and support our hardworking staff by providing important benefits like health insurance. Will you help us grow? We’ve already shown what we can do with a little — imagine what we can do with a lot. This interview is part of #DirectDOT, Bikemore's campaign to send a message to the next administration that the new Director of DOT needs to be a champion for livable streets. When Anikwenze's sisters taught him how to balance without training wheels, they forgot an important detail — how to stop. At age five, he took off around the block but wiped out when he returned to his own driveway. He still has a scar on his left hand from this early memory of biking, but he kept at it. In Mississauga, the Toronto suburb he grew up in, there were sidewalks along every street, trails that cut through parks, and bike racks at school — so he walked and biked to school, to visit friends, to play sports, and to the convenience store. Growing up in pre-cell phone days, there there was always a set time to be home by, but the boundaries for how far he could go got further and further as he got older. His parents took him on the subway or train downtown when he went to work with them and he loved the excitement of it. Walking, biking, and public transit were just how he and his family got around. Today, Anikwenze Ogbue, a transportation engineer here in Baltimore, is figuring out how to get around with his own family in his neighborhood and in his city. "The favorite part of my commute is walking my son to child care. After I drop him off I take the bus to work and my wife picks him up. We do all of this as a one-car family. Many people assume that being car-light or car-free is impossible in Baltimore. Three things make it possible to live a car-light or car-free life: safe streets, frequent transit and walkable amenities. We can walk or bike to a frequent bus line on Loch Raven Boulevard (103X & 3). We also have a plaza and a library within walking distance. The more we did it the more we found ways to make it easier. For instance, taking my son to the pediatrician as a toddler was easier on the bus with a carrier instead of a stroller. 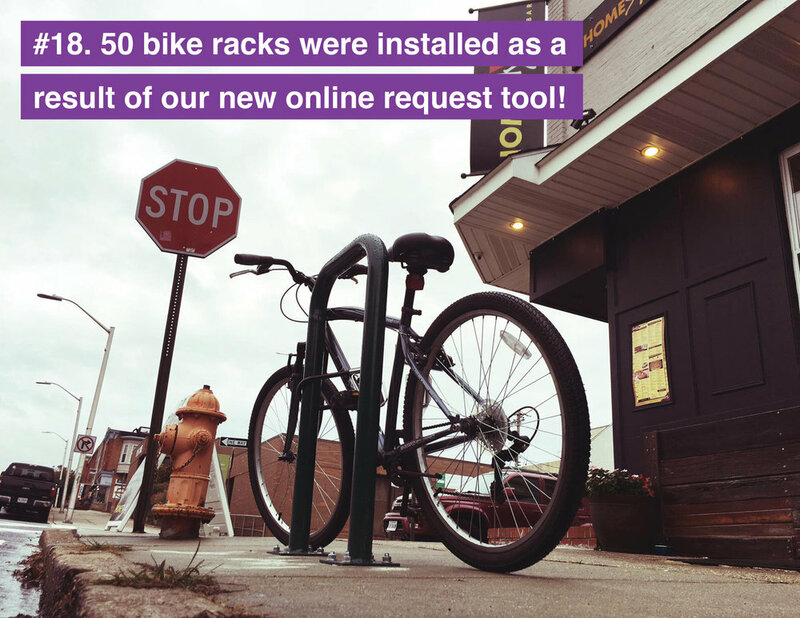 I also found that using the bus-bike rack cut my commute time significantly." What’s your favorite thing about your neighborhood? "I can’t name just one favorite thing about Original Northwood. I like that everyone is doing something to make the neighborhood better and help each other. We have an active community association that helps to organize different events, like the Summer Block Party, the Newcomers Party, and summer Popsicle nights for families. We also benefit from having people of different races, backgrounds, ages and incomes. It’s worth noting that it wasn’t always this way. When the Roland Park Company developed Original Northwood covenant restrictions on deeds were used to restrict home sales by race. Although those restrictions no longer exist, a neighbor started the Sister Neighborhood Arts Project (SNAP!) to help our surrounding communities unpack this history and understand how it impacts us today." What's the biggest barrier in your neighborhood to getting around and accessing amenities by bike or foot? He says that getting around on bike or by foot is easier within the community, but the neighborhood is bounded by a few major streets: Loch Raven Boulevard, The Alameda and Argonne Drive creating two major intersections with a history of crashes. Havenwood Road and Loch Raven Boulevard had five crashes during the first quarter of 2016. Because it's highest point on the road, sight distance is limited for three of the roads that lead into the intersection. And at Argonne Drive and The Alameda, five crashed occurred in the first quarter of 2016. As you can see in the photos above, traffic converges from five different directions, it isn’t clear where to turn, and there are no push-buttons or pedestrian signals — so it often feels like a game of chance to guess when it’s your turn to cross. Fortunately, based on some interactions between the neighborhood association and DOT, some lane markings will be added to improve how vehicles move through the intersection. what would an ideal neighborhood street look like? and WHAT DOES SAFETY even MEAN? "To me the ideal neighborhood street is safe in two ways. Safety means residents and visitors on the street respect one another. Safety also means the most vulnerable people can use the street regardless of their mode (wheelchair, bike, transit or vehicle). In both ways of viewing safety there are tools to mitigate conflict if it arises." Anikwenze says that, "As a transportation engineer this shows me there is latent demand for improved walking, biking and transit infrastructure in communities with low car ownership. Latent demand can be explained with a story about two shoe salesmen who visit an inaccessible community. After canvassing the area one shoe salesman gave up and reported no sales to his office: 'I’m returning tomorrow. Nobody here wears shoes!' However, the other shoe salesman saw opportunity and informed his office, 'Send more product. Everybody here needs shoes!' If we think like the second salesman Baltimore’s streets will be a safe and adaptable network of sidewalks, bike routes and high-frequency transit." Why would you like to see leadership at DOT put people before of cars? "I actually think DOT has made strides to take risks and provide people with more choices to get around without a car," Anikwenze says, citing projects like the bus lanes on Pratt and Lombard for the Baltimore Link, Pratt Street Pilot Pop-Up Cycle Track, Baltimore Bike Share and the Downtown Bike Network. And he notes the collaboration between DOT and MTA on the TIGER grant award for the North Avenue Rising multi-modal improvements. "This same collaborative spirit can lead to concerted efforts with other agencies and communities on specific transportation issues." Anikwenze says it's crucial to shift the thinking to focus on transportation modes that move the most people in the least amount of space. The traditional level of service (LOS) model judged performance of transportation based on how quickly vehicles move, without factoring in the number of people traveling to a destination — as seen in the visual below. "To continue making more progress future DOT leadership can seek more opportunities for multi-modal facilities in communities with latent demand. 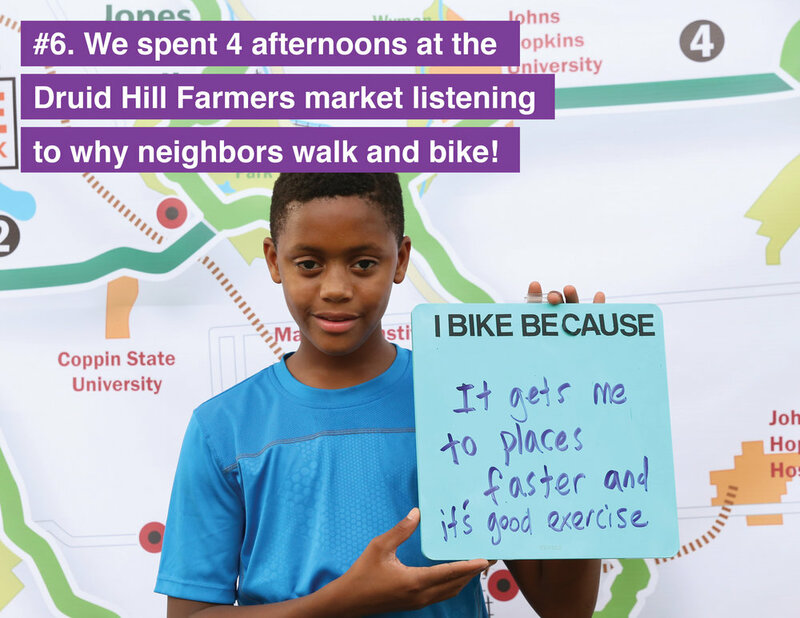 Neighborhoods outside of the waterfront and central city as well as high-capacity transit hubs like Mondawmin Mall are prime locations for improved walking, biking and transit infrastructure. The future of a connected multi-modal transportation network in Baltimore rests on six E’s: Equity, Evaluation, Engineering, Education, Encouragement and Enforcement. These are the tools that ensure every citizen has mobility and access to opportunity. And if Anikwenze could only say one thing about creating safer streets to the people in charge? He'd tell them transportation is freedom.